In the early 1970s, Bebe Scarpi(nato) had graduated from Queens College, New York (which she denied choosing for its name) where she'd founded a Gay Community organization. She became active in the Gay Activist Alliance, where she met Sylvia Rivera. Sylvia felt that GAA was not radical enough, but never actually left the organization. It was Bebe who ensured that Sylvia's dues were paid up. Scarpi was also in the Street Transvestite Action Revolutionaries, was director of the Queens Liberation Front (QLF), was on the originating board of the National Gay Task Force and was active in planning the fourth Christopher Street Liberation Day (which later became the New York Pride March). "You don't have to embrace stereotypes in order to be gay so it was looked at as an anachronistic method of trying to be gay and in the truly liberated society there would be no cross gender identity. You could be a feminine man, but you wouldn't opt to dress and act like a woman." (Cohen p108). At a third hearing in December, policemen were posted outside the ladies rooms to prevent 'transvestites' from using them. Bebe, definitely not androgynous that day, asked the policeman what he was doing, and then went in and did her business. On the way out she commented to the policeman that he had not checked her. The New York Mattachine Times complained that transvestites were jeopardizing the bill with their restroom behavior. In 1973 the committee was still blocked in its attempt to pass a bill to ban discrimination against homosexuals in employment, housing and public accommodation. To get it passed, an amendment was proposed that nothing in the definition of sexual orientation “shall be construed to bear upon the standards of attire or dress code". Bebe, as QLF director, was put in the uncomfortable position of submitting to this wording or seeing the bill fail. For the Christopher Street Liberation Day in June 1973, Bebe went to the 82 Club and got the showgirls, in full regalia to march behind an 82 Club banner. In 1974 Bebe attended a feminist conference where Jill Johnston, mother of two and author of Lesbian Nation, had proposed that mothers neglect to care for male babies. Bebe, from the question line, accused Johnston of being a neo-fascist and dictating to women as well as to men. At this point Bebe was recognized from earlier encounters. Scarpie was the Editor of Drag Magazine, and an associate for 20 years of Lee Brewster's. In addition she started a career as a high school teacher. When she was not teaching she worked as a stripper. "Stripping is such a liberating experience; I would strongly recommend everyone to try it". It was commented that she looked like a middle-class lady. Bebe is the first known trans woman to become a school principal. Don Doodwin et al. "A Time and a Place: Opinion". New York Mattachine Times, December 1971: 1. Phil Katz. "Intro 475: Round 2". Gay Activist, 1,8, 1972: 4, 18. Bebe Scarpi. "A Tiffany of Weekends". TV-TS Tapestry, 40 1983. Martin B Duberman. Stonewall. Dutton, 1993. Plume, 1994: 235, 251, 296n11, 298n29, 308n44. Jim Clifford, Martin Duberman, Luvenia Pinson, Bebe Scarpi, Martha Shelley & Allen Young. 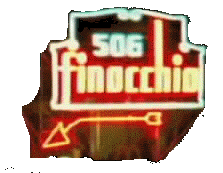 "Reminiscenses of pre-Stonewall Greenwich Village". In Martin Duberman (ed). A Queer World. NYU Press, 1997: 331-340. Bebe Scarpinato & Rusty Moore. 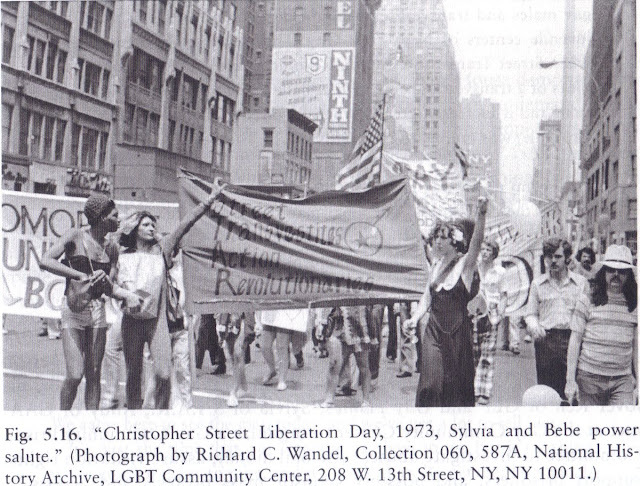 "Mourning the Loss of Sylvia Rivera, NYC-based Activist". IFGE, via Gain, February 21, 2002. www.ifge.org/news/2002/feb/SylviaRivera.html. Hyein Lee. "Culture shock makes us cringe, then change". http://media.www.nyunews.com/media/storage/paper869/news/2007/11/12/Features/Culture.Shock.Makes.Us.Cringe.Then.Change-3094112.shtml Online at: https://groups.google.com/forum/#!topic/transgender-news/tkau8KZ9HYo. Cristan Williams. "1974: TERFs and Trans Folk". Ehipassiko, 2012/08/31. www.cristanwilliams.com/b/2012/08/31/1974-radfems-and-trans-folk. Stephen L. Cohen. The Gay Liberation Youth Movement in New York: An Army of Lovers Cannot Fail. Routledge, 2007: 56, 95-6, 108, 109, 115-8, 125, 128, 135, 142, 149-150, 152, 154, 155-6, 160, 180, 196. Lillian Faderman. The Gay Revolution: The Story of the Struggle. Simon & Shuster, 2015: 262-3.